Please fill out the form to subscribe to our email newsletter. 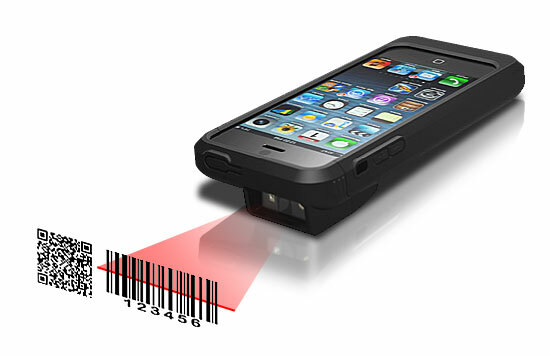 We use these to keep our customers and followers up to date with the latest product releases and announcements. 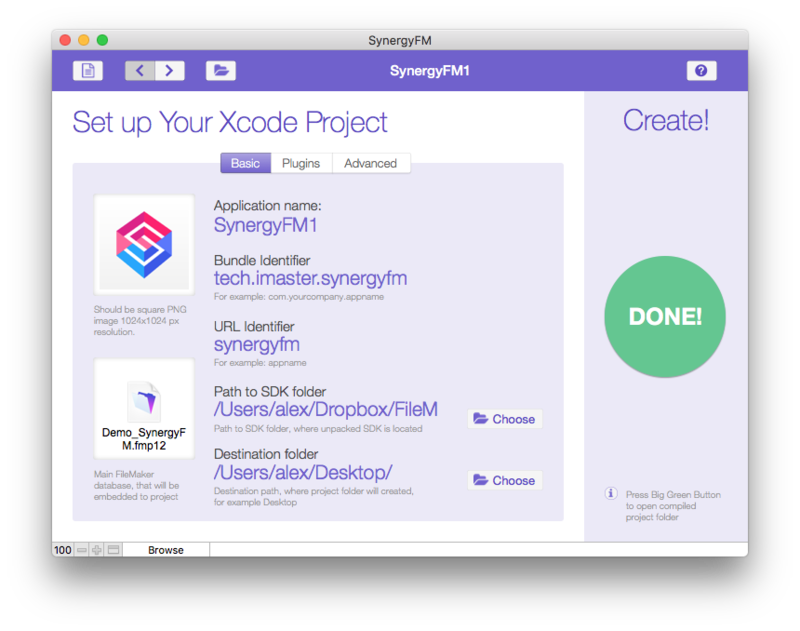 XprojectFM is allowed to build Xcode project, based on FileMaker iOS SDK. You just need to click on one button to get the Xcode project completely ready for installation on an iOS devices. It also allows using custom plugins in the Xcode project, creating synergy effect of combining the fast development of FileMaker platform with almost unlimited functions and speed of a native code. Mobile users do not always have the ability to maintain a constant connection to the server And quite often you need to inform the remote user of a new event, a new invoice or a new important task. 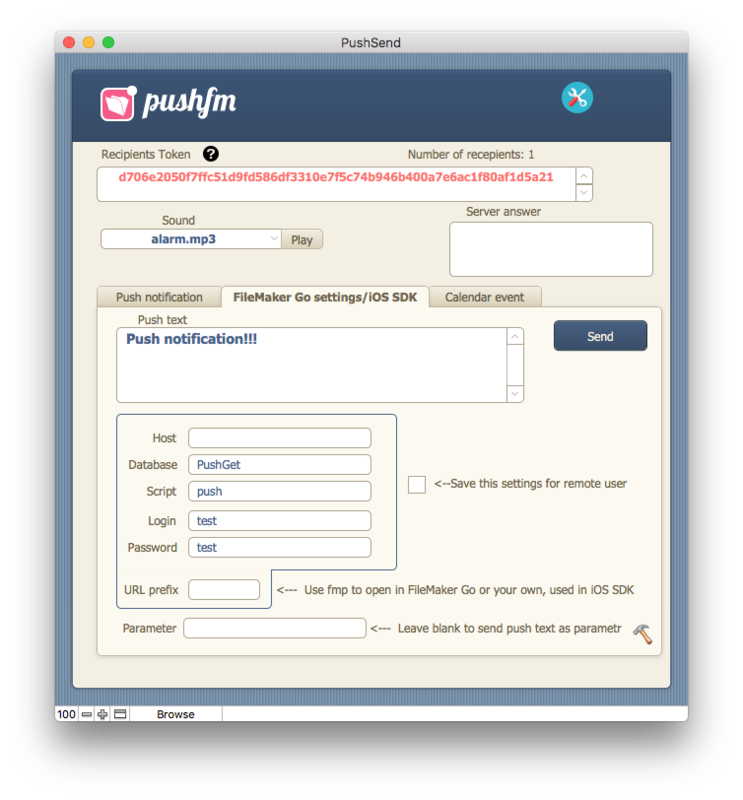 PushFM will immediately inform the remote mobile user, even if PushFM and FileMaker Go or iOS App SDK app is not running and the device is not active. TrackFM is a native iOS App, that tracking iPhone or iPad GPS location and sending coordinates to FileMaker Server's Web Publishing via XML requests. If a device is not connected to the internet, location data is collecting inside TrackFM and then sending to the server. TrackFM works as iOS system service and silently continue location tracking even if a user is a force quit TrackFM application. Only significant location changes are tracking. Development and launch of projects based on iOS and macOS. Remote management of mobile devices. Software development and implementation.